I’ve always liked container gardening – cute bunnies holding armloads of flowers, baskets overflowing with blooms, cupid pottery set on tabletops to bring color to unexpected places. 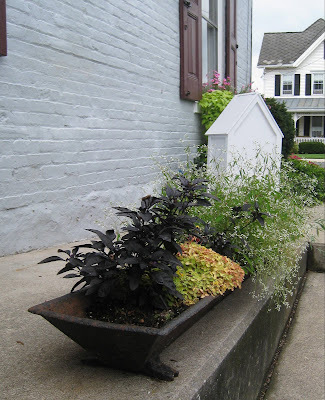 Lancaster County has a unique style when it comes to container gardening. Locals here pretty much invented the word “frugal”. They never throw anything out that still has a useful purpose. And talk about creative! You can’t help but be inspired. 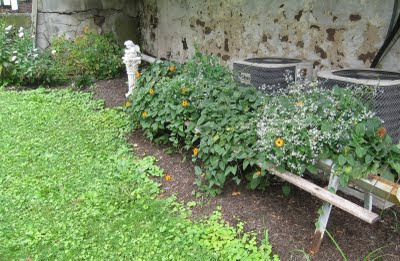 This explains why I now plant flowers in a chicken feeder, pig trough, coal bucket, old washtub, and wringer washer. I’ve created a mini-herb garden in an old roaster, and made a centerpiece of primroses in metal canning containers. Maybe it’s the whimsy that I like – the look of surprise on guests’ faces when they realize what they are looking at. I love all your planted containers...and I"m sure they look even better in person! Thanks Pat! You should stop in for a visit sometime! Did you hear? It's official - the AQS Quilt Show is coming to Lancaster March 24 - 27. Most of the people really like gardening.I am sure they will really like this post because they will learn a lot by reading this article. 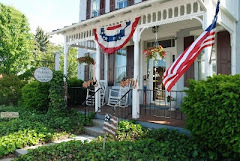 Lancaster County – The Land of “Ahs”!